An opportunity has arisen for a fast-paced Internal Recruiter to join our exciting ecommerce, ever growing global organisation client who offer a fantastic working environment! Supporting an Account Director, the right candidate will be responsible for generating and then managing profitable new Sales Promotion campaigns. We are looking for a new sales person to generate opportunities in the B2B sales arena for one of our key clients. The Analyst is responsible for merging multiple data extracts to create accurate, timely and concise reports that allows management to evaluate performance and make operational decisions. Our client currently has an opportunity for a Property Administrator to join their friendly team. Our client in Camberley is seeking a Marketing Executive on a 9 month contract to develop & execute their brand strategy to drive long term sustainable growth which continues to build the brand. You will manage multiple event projects and deliver a high level of service to our clients in planning, project management and delivery of our technology products. You will work collaboratively with colleagues throughout our business to ensure high quality delivery. Our professional client in Oxford is seeking a Legal Secretary on a part time basis. This is a fantastic opportunity for individuals hoping to join an organisation that offers excellent career progression in an environment that supports career development as well as a rewarding company benefits scheme. Our luxury brand client based in central Godalming offers a lovely working environment and has a great opportunity for an outgoing, professional candidate to assist with customer administration within their logistics department. Due to expansion, our client has an exciting opportunity for a potential candidate to join their Sales Adviser Team. Our client has an exciting opportunity to join their team. Do you have legal experience? Do you enjoy working as part of a team? The Network Activation Engineer provides service activation, troubleshooting, and escalation support for advanced telecom and network related issues. Our client currently has an opportunity for an Administrator to join their friendly team. Our professional client is seeking a temporary Receptionist on an ongoing basis. Are you looking for an exciting and busy secretarial role within property? Do you gave experience of managing diaries, document production and arranging meetings? This could be the role for you. Our client is seeking a creative front-end developer with strong technical skills to join their team. Our client is looking for an experienced front-end developer with strong technical skills and a creative background to join their team. As administrator, you will support the Operations Manager in delivering an excellent service both internally, and to clients, in the planning, preparation and delivery of the product to events. The prime role of the Property Paralegal is to provide direct support to his/her fee earner(s) to enable them to operate at optimum efficiency. Our client based in Godalming are looking for a Senior Account Executive to ensure the agreed PR Plans for each client are delivered in a timely and effective way within budget and time allocation. Our client based in Godalming is looking for a PR Account Executive to support the account team and to provide a consistently good service for all clients. Our client is seeking an Administrator to provide full administrative support for the product packaging and Artwork activities of the company. £12 per hour Duties will consist of: Typing documents Diary management Liaising with clients on the phone General ad-hoc duties If you have not been contacted within 5 working days, then unfortunately on this occasion your CV has not been shortlisted. The Personal Assistant’s principal role is to provide lawyers with the administrative support they need to provide seamless legal services to clients and help them maximise the amount of time they are able to spend on fee-earning tasks. Our exciting client based in Guildford are seeking a Customer Service Executive to join their dynamic team. Our client offers an impressive, corporate environment and has an opening for a professional Administrator who has an interest in IT / Tech who is seeking a busy role that could be a gateway into a great organisation with progression opportunities! Our professional client based in Guildford are looking for a Legal Secretary to join their friendly and busy team. Our professional client based in Guildford are seeking a Legal Secretary to join their busy team within family law on a 12-month maternity cover contract. Our professional client based in Basingstoke are looking for a Legal PA/Team Assistant to join their busy team. Our professional client based in Reading are looking for a Legal PA/Team Assistant to join their busy team. Our client a boutique specialist agency are looking for an experienced Event Manager to join their team! Are you a digital designer with fantastic creative skills for web and apps? We need a designer to join our team working on a wide variety of projects, including web apps, mobile device UI and interfaces, together with occasional branding, brochures and mixed-media advertising campaigns. Our client based in Cranleigh, are recruiting for the role of an Administrator / Account Manager to join their team and take on office administrative duties, whilst also managing a number of their client accounts. Our client are a well-established IT re-seller with over 30 years industry experience, located in a beautiful, rural location on the outskirts of Farnham. They offer a fun working environment and a company culture based on respect and trust for all staff. Our client focused partner has an exciting opportunity for a Pensions Administrator to join their team! Recruitment Agency providing Surrey office jobs in Godalming, Guildford & surrounding areas. 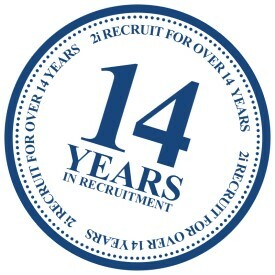 Founded in Godalming in 2004, 2i Recruit Ltd has become one of the leading Recruitment Agencies in the Surrey Area, and Godalming and Guildford in particular. Our portfolio of clients ranges from small companies to Global Blue Chip organisations. Administration, PA & Secretarial, PR & Marketing, IT, Sales & Customer Service, Legal, Finance & Accounts and Graduates. We are a local independent Agency based in the heart of Godalming and our team is dedicated to providing an outstanding recruitment service to both clients and candidates.